Thanks Sharon! 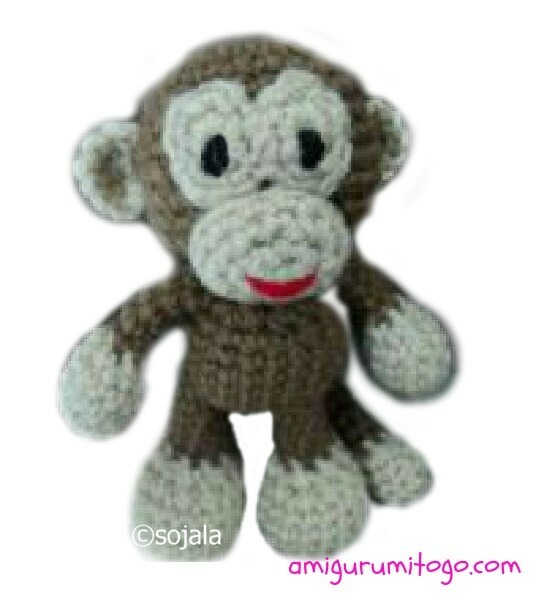 I made one monkey(though not perfect)and when i showed it to my 1 and half year old girl, she loved it!!! She kissed the monkey! Thanks for taking the time to comment, I appreciate it! Wow! nice pattern! I have made part of this monkey and I am almost finished! I love your patterns Sharon! thank you so much for the pattern and tutorial, i was crocheting along with the video, as i just learned how to crochet a month ago, and this was my first amigurumi. thanks for making so easy for a newbie like me to understand as i still cant read a pattern for the life of me. Hi Sharon! I am making one of these for Christmas and I was just making sure that the body is supposed to be smaller than the head. Thanks! Merry Christmas!